If you have ever wanted to be one of those moms who makes her own baby clothes, now is your chance. 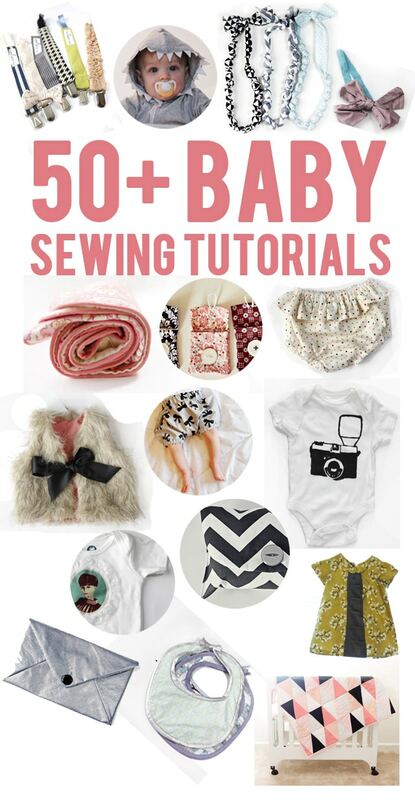 We have found a great collection of baby sewing tutorials over at See Kate Sew. These are easy to make, adorable baby things that will take you very little time. The best part is that they are all together in one place so you can begin with the first one and keep going until you have made everything you need. Whether you are a mom, grandma or just someone who loves giving away homemade baby items, you are going to love these easy DIY tutorials. Need help I’ve not made anything in 40years. And I have a grand baby on the way and I’ve no money!!! Eager to make baby clothes for twins now 8weeks old. I will love to made baby clothes and give it as a gift to other couple whose baby on the way and I wanna a girl and a boy clothes for myself but I don’t know how , please guide me .